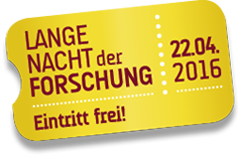 Past events - photonics-austrias Webseite! 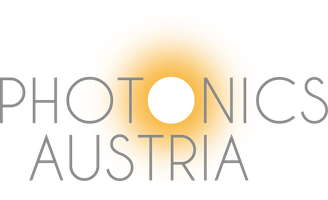 Photonics Austria organized a series of lectures with renowned Austrian photonic companies and experts on the occasion of the international day of light to give a braod audience the chance to gain insights into exciting future technologies! Photonics Austria was present at the SPIE Photonics West in San Fransisco together with other Austrian representatives from 28th of January to 2nd of February. The 6th International LED professional Symposium +Expo in Bregenz from September 20th to 22nd 2016 reinforces creativity, innovations and new lighting solutions. The annual LpS event in Bregenz, Austria, is Europe’s foremost lighting technology event for people in industry and research. “Trends and Technologies for Future Lighting Solutions” in the fields of general, industrial and architectural lighting will be the major topics in Bregenz. The LpS 2016 event will emphasize “Smart Technologies for Lighting Innovations” and cover the latest trends in applications. In the framework of the EU project Photonics4All Photonics Austria organized the second "Boot Camp" for Photonics Entrepreneurs. Young researchers from all around Europe got the basic knowledge of innovation and entrepreneurship imparted in this 3-day workshop at the University of economies in Vienna. Through its technical program, the conference will provide an opportunity for the academic and industrial communities to address new research challenges, share solutions and discuss issues in information and communication technology referring to modern telecommunications. The 21st International Symposium on High Power Laser Systems and Applications will be held in Gmunden, Austria from the 5th to 9th of September 2016 at the Toscana Congress Center. For over thirty years GCL&HPL has provided an excellent opportunity for researchers in gas, chemical and high power lasers, along with the end-users of these lasers to exchange ideas, review the state-of-the-art and foresee emerging trends within the field. Its scope is broad, including fundamental research, laser development, systems engineering and gas, chemical and high power laser applications in a wide range of fields. Following the tradition of precedent editions, HPLS&A 2016 will bring together scientists and engineers from the whole world to create an event where members of the laser community can meet to discuss the latest achievements and to initiate new contacts and collaborations. Keynote and Invited presentations will highlight important research trends in a wide spectrum of topics. This conference features the latest breakthroughs in the field of solid-state, fibre and waveguide light sources. World-renowned researchers discuss the latest developments in the scientific community accompanied by Summer School sessions at the PhD student and postdoctoral level, and by informal breakout sessions for discussion and vendor display viewing. This conference will also feature a half-day special Symposium entitled "Novel laser-matter interaction regimes"
The conference will be held at TU Vienna - Campus Gusshaus - Gusshausstrasse 27 - 1040 Vienna, Austria. 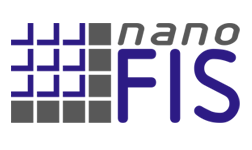 nanoFIS 2016 intends to contribute to challenges and topics covered by the Mission, Vision & Strategy of the European Micro- & Nanoelectronics and to increase visibility in particular in the More-Than-Moore domain. The nanoFIS 2016 conference focuses on implementation of Key Enabling Technologies for Novel Device Development and 3D System Integration. On 9th of June, 2016 Photonics Austria organized a workshop with the topic quantum technology for future ICT-applications in the framework of the Imagine 16 in Innsbruck which was organized by AIT - Austrian Institute of Technology. Quantum physics fascinates for more than 100 years and is, in combination with information and communication technologies, as actual as never before. Learn the basics of quantum cryptography, quantum computers and quantum teleportation and discuss with our experts about the usage of quantum technology in the future. In the framwork of the long night of research at different venues in Austria the topic Photonic was in the main focus. Photonics was present at the SPIE Photonics West in San Francisco together with other representatives of Austria at the booth of Wirtschaftskammer Österreich from 16th 18th of February 2018.